Monash University (Australia) researchers have brought next generation energy storage closer with an engineering first - a graphene-based device that is compact, yet lasts as long as a conventional battery. SCs are generally made of highly porous carbon impregnated with a liquid electrolyte to transport the electrical charge. Known for their almost indefinite lifespan and the ability to re-charge in seconds, the drawback of existing SCs is their low energy-storage-to-volume ratio - known as energy density. Low energy density of five to eight Watt-hours per litre, means SCs are unfeasibly large or must be re-charged frequently. Professor Li's team has created an SC with energy density of 60 Watt-hours per litre - comparable to lead-acid batteries and around 12 times higher than commercially available SCs. "It has long been a challenge to make SCs smaller, lighter and compact to meet the increasingly demanding needs of many commercial uses," Professor Li said. To make their uniquely compact electrode, Professor Li's team exploited an adaptive graphene gel film they had developed previously. 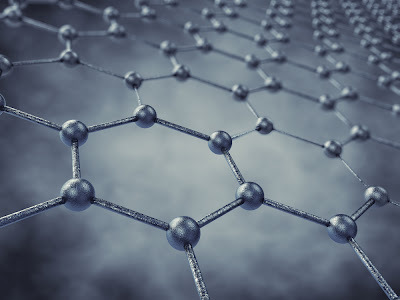 They used liquid electrolytes - generally the conductor in traditional SCs - to control the spacing between graphene sheets on the sub-nanometre scale. In this way the liquid electrolyte played a dual role: maintaining the minute space between the graphene sheets and conducting electricity. Unlike in traditional 'hard' porous carbon, where space is wasted with unnecessarily large 'pores', density is maximised without compromising porosity in Professor Li's electrode. "We have created a macroscopic graphene material that is a step beyond what has been achieved previously. It is almost at the stage of moving from the lab to commercial development," Professor Li said.